Twinkle Tames A Dragon written by Katharine Holabird and illustrated by Sarah Warburton has been adapted into a musical and is currently playing in New York. Twinkle has always wanted a pet and is thrilled when Fairy Godmother grants her wish. While her friends get cute little pets, a naughty pet dragon named Scruffy is NOT what Twinkle had in mind! Can Twinkle tame her dragon in time for Fairy Pet Day? The show is based on the third book in the Twinkle series (Hodder Children’s) and is playing until February 21st. The book will be published on 10th March and is available to pre-order here. 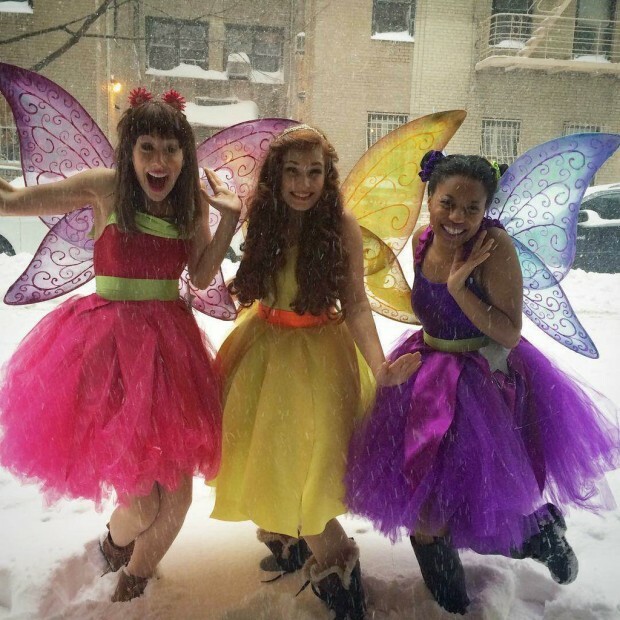 Here are the Twinkle fairies in a New York blizzard!